The fight against gravity and the affect it has on our body as we age has been something us humans have been wrangling with for generations. After all, the reflection in the mirror certainly doesn’t look the same as it did in our 20s as we move into our 40s and beyond. Despite our age, it’s never too late to look and feel our best and with a number of clever medical procedures now at our disposal, more and more of us are looking to liposculpture as the solution. And this solution is growing in popularity – both here and abroad. In fact, anecdotal evidence suggeststhat Australians engage in more cosmetic surgery and minimally invasive procedures, per capita than the US. To put this into perspective, a recent report by the American Society of Plastic Surgeons (ASPS)states there were 17.5 million surgical and minimally invasive cosmetic procedures (such as Botox) performed in the US in 2017, and minimally invasive cosmetic procedures have increased nearly 200 percent since 2000. So with this in mind, what exactly is liposculpture and how is it different from the liposuction that we heard so much about in the 90s? Liposculpture is a less invasive procedure than liposuction, so it has reduced down time and less post-operative side effects. It doesn’t use general anaesthetic either which means it doesn’t require a lengthy and expensive stay in hospital (yes, only a day stay) therefore it has shorter recovery time and has minimal bruising and bleeding, too, comparatively. It is also less expensive and yields excellent results. How Do I Know If Liposculpture Is Right For Me? Let’s face it. Some parts of the body mightn’t sit right these days. Diet and exercise is a great way to maintain overall health and keep our bodies in good condition, however, there are some stubborn areas of localised fat in the body that don’t seem to respond to diet and exercise alone. These common problematic areas for women often include the neck, thighs, arms and armpits and abdomen, hips, waist, back fat and also the cankles – an area which appears to be increasing in popularity and abdomen, hips, waist, and back fat. According to Sydney liposculpture surgeon and Be Sculptured’s own Dr Meaghan Heckenberg, new mums are also turning to lipsculpture after the birth of their children to help with stubborn areas like outer thighs, abdomen, hips and waist. However it’s not just women who look to lipsosculpture procedures to shape and contour. Men are also increasingly getting liposculpture for areas such as the abdomen, back, breasts and love-handles. 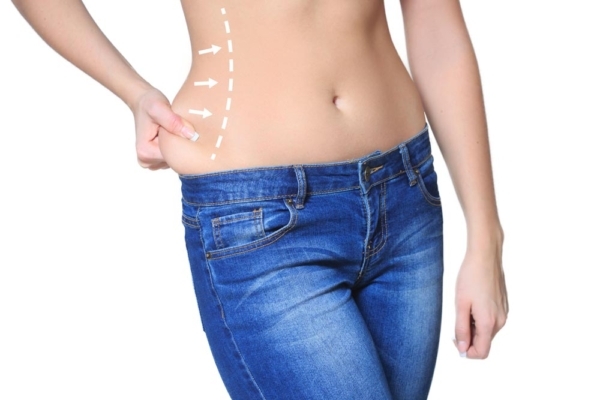 What’s Involved with liposculpture procedures? The finer details should be carefully explained by a suitable and qualified surgeon, however in most cases, some ‘before’ photos are taken and then the target areas are drawn up on the body. At this point, an intramuscular injection is usually given as a relaxant and a cannula may be put into the vein. The area is then infused with tumescent local anaesthetic fluid, which numbs the fat, and constricts the blood vessels, which helps to vastly educe the bruising. Once numb, the cannula is used to disrupt the fat cell from the connective tissue and the fat is taken away from the site with suction techniques. With liposculpture, the patient is often required to change position during procedure as part of the practise to improve the areas being treated, and fine tune the procedure. Once done, the area is dressed with absorbent pads and dressings, and compression/ support garments are put on. From here, the patient is taken to the recovery area where they stay for a short time before heading home with a carer or relative; there are no lengthy overnight hospital stays. Combined with a healthy lifestyle, the contouring affects of liposculpture can help transform body shape, forever. If you’re considering liposculpture, be sure to book a private consultation with Dr Meaghan Heckenberg. As a specialist in liposculpture, and with a long clientele that includes celebrities, she can talk you through the finer details and advise on whether lipsculpture will help you achieve the results you’re looking for. Get in touch here.